Taking Flight illuminates the history of human interaction with birds, through a Midwestern lens. This cultural history explores how and why people have worshiped, feared, studied, hunted, eaten, and protected the birds that have surrounded them for more than 12,000 years. 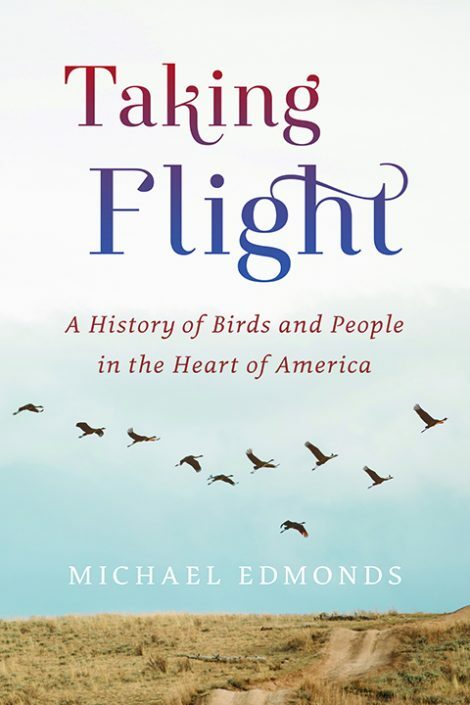 Author and birder Michael Edmonds combed archaeological reports, missionaries’ journals, memoirs of American Indian elders, and more to reveal how our ancestors thought about and acted toward the same birds we see today. Whether you’re a casual bird-watcher, a hard-core life-lister, or simply someone who loves the outdoors, Taking Flight will show you knew ways of thinking about birds, people, and the extraordinary history that connects us. Michael Edmonds has been a recreational birder for three decades. 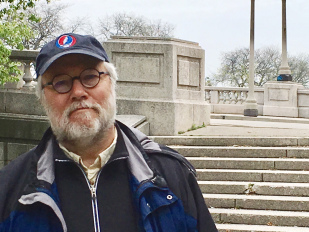 He is the author of two award-winning books from the Wisconsin Historical Society Press, The Wisconsin Capitol, Out of the Northwoods and Risking Everything. He is the director of programs and outreach for the Wisconsin Historical Society and has written several articles for the Society’s Wisconsin Magazine of History . He graduated from Harvard University in 1976, joined the Wisconsin Historical Society staff in 1982, and has taught at the University of Wisconsin since 1986. 1. Generations of Midwesterners have connected to birds in many different ways—birding, hunting, storytelling, folklore, and more. How have these connections brought us closer together as a people, as a region. 2. How have our various connections to birds divided us? 3. Edmonds describes his life-changing moment with a bird at cabin-the moment that drew him to birds and nature as never before. Have you had such an at-one-with-nature moment? If so, how did it change you? 4. Several traditional American Indian and American folk stories center around birds and their powers, real and conceived. Why do you think these stories resonated then (and perhaps now)? 5. How have birds, and people’s interactions with them, shaped the Midwestern identity? 6. In his backcover review, fellow author B.J. Hollars said readers of this book will “never look at birds—or people—the same away again.” Has your view of birds, and people changed? If so, how?